The DTB were joined by club chief executive Erik Samuelson and COO, Joe Palmer. Apologies were received from Matthew Breach from the Dons Trust Board, and Tom Brown from the Secretariat. The meeting started with Charles Williams noting that he will be unable to attend the next Dons Trust Board meeting in December and therefore this would be his last meeting. Charles thanked the Board for all their support and the work they do for the Club. The Dons Trust Board thanked Charles for his work as a co-opted Board member to oversee youth engagement over the past year. Mark Davis then opened the meeting, ahead of Erik Samuelson and Joe Palmer joining, and the board discussed the questions they had for the Football Club Board (FCB) regarding the departure of first team managers Neal Ardley and Neil Cox, as announced that morning, and the plans for replacing them. Erik Samuelson and Joe Palmer joined the meeting and updated the DTB on developments since the DTB’s additional board meeting on 7 November, leading up to that morning’s Club statement. Erik explained he had visited the training ground that morning to speak with the remaining members of the football management team and squad to explain the situation. Erik explained the FCB’s proposed approach to recruiting a replacement manager and initial views on the DTB’s role in the recruitment process. Erik and Joe then responded to questions from the DTB regarding the FCB report. The DTB noted the fabulous hospitality for AFC Wimbledon fans visiting Haringey in the FA Cup on Friday 9 November 2018 and agreed to send their official thanks to the Club. The board discussed, and unanimously agreed, that the FCB should be authorised to proceed with appointing a Head of Recruitment. The FCB would decide upon timing, in light of recent events. Erik provided a stadium update and noted the announcement made at Thursday’s (8th Nov 2018) Dons Trust SGM that the costs for the stadium are coming down based upon discussions with a prospective new contractor. The proposed new contractor had created a mock-up of what the new stadium will look like. The Board agreed that it would be helpful to show members and fans this updated mock-up. Erik and Joe outlined the next steps on crowdfunding which includes the completion of the valuation of the Club at the new stadium and the FCB conducting a full evaluation of the options currently on the table. The ambition remains to have the crowdfunding underway in the first months of 2019. The FCB and DTB discussed how to approach the consultation on stadium options and matchday experience at the new stadium with fans and members. Roger Evans outlined what the Stadium Working Group have been doing toward this. The board discussed the need to make sure that there is a clear process and timetable for taking the consultation forward. Mark Davis agreed to set up a workshop with the Stadium Committee and relevant members of the survey working group and Engagement and Communications committee in order to plan next steps. The Board noted that they had previously announced to members, via the Dons Trust website, that the Dons Trust AGM was scheduled for 13 December 2018. This has been rescheduled for Thursday 20 December 2018 and members should be informed. 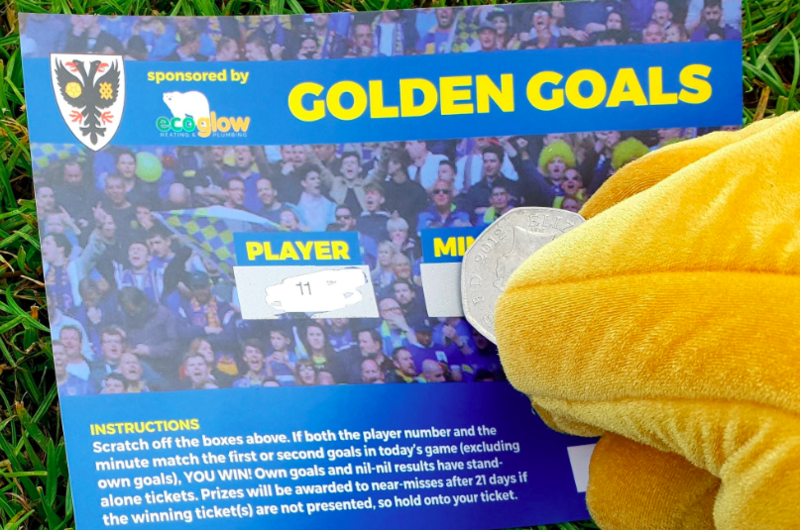 It is as yet unconfirmed whether the AFCW PLC AGM will take place on the same day. The Dons Trust Board noted with concern the abusive language and behaviour towards players and management team from a certain number of fans stood behind the goal at the FA Cup match against Haringey, for the final 20 minutes of the game. The Board would like to thank those fans who were prepared, calmly and peacefully, to call out such abusive language and behaviour. Erik and Joe left the meeting at 21:55 and the Board took a break before reconvening and approving the minutes of October’s Board meeting. Nigel Higgs then discussed his drafted terms of reference, which he has circulated amongst the Operations committee for comments, and which outlines the options for a member engagement tool. The Board ran through working group updates and reports. From the Diversity and Inclusion working group, Jane noted that a meeting had taken place with Joe Palmer regarding the screening of the WonderKid film. Joe is keen to do this and link it to Kick It Out week. The board reflected on the Open Meeting at Bertie’s Bar in Wimbledon held on 31 October. Jane Lonsdale had asked for attendees’ feedback on Webjam and the board agreed that it went well and will repeat this format again, although potentially at a different venue. The board agreed to rethink in the new year when to schedule another. Under AOB Jane Lonsdale noted that a number of matters have arisen during the course of this year’s elections, therefore it is important for the Board to review thoroughly the ESG paper when they receive it. Further, the date of the Junior Dons Christmas party has changed to 9 December. Jane is organising it, with the support of volunteers. Jane also noted that the volunteers overseeing the Junior Dons had done a great job creating the newsletter. 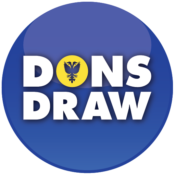 On 8th December, before the home match, they will be meeting to stuff 560 envelopes with the Junior Dons Christmas cards and welcome volunteers to help out. Jane added that the wording in the programme on hate crime has been amended and there will be publicity around this. Cormac van der Hoeven said he’d attended the safeguarding meetings on behalf of Dons Trust Board and Colin Dipple has been involved club with Sustainable Merton, and a campaign to remove plastic at the club. He is looking for people to be part of a working group on this. Finally, Jane noted how the last couple of weeks for the Board has been incredibly intense, with a lot of meetings but that it has been a pleasure to work with the other members of the board.